Level 3: Passive Preparation: 401K or IRA plans that you manage yourself. Level 4: High-Interest Debts: Anything with an interest rate of 10 percent or more. Level 6: The Leftovers: Is there still money floating around in your account? Determine how you’ll best use this to prepare for home buying – play the market, put it in a high-yield savings account, etc. 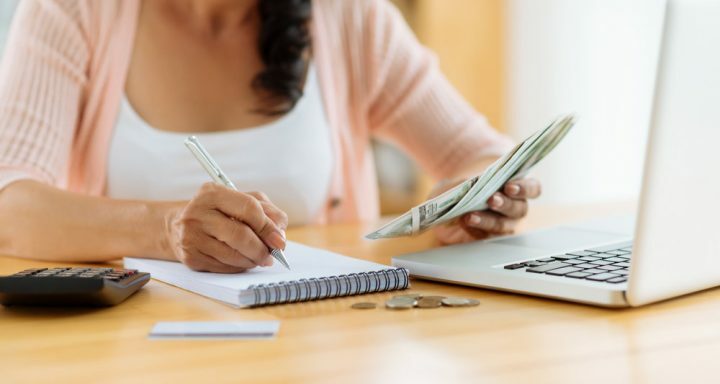 With your finances categorized and organized, you can start to set goals for how much you need to save, and for how long, in addition to where you need to cut back. While the overarching goal is to buy a home, setting smaller goals will help you stay on track and feel successful while you make your way there. In the end, you’ll have a total spend for life expenses and a total amount to be saved by month’s end. You can use a spreadsheet and do this by hand, or download one of these budgeting apps. The final step is holding yourself accountable to your goals and regular updates of the budget. If you make a purchase that wasn’t planned for, add it to your budget and readjust how much you’ll be able to save that month. Remember that a budget is fluid, and there are many “life things” that will come up and throw it off. That’s okay, as long as you stay focused on the goals you’ve set for yourself. If you go over budget one week, reel it in the following so you can stay on track for the month. As a homeowner, there are dozens of expensive problems that could arise. Get into a habit of budgeting now so you’re prepared for these financial challenges when they inevitably pop up.